At the onset let me be clear, I am a Kotak customer and am pretty biased towards them. I like the personalised services they offer to every Kotak customer. What do I mean by the personalised service. 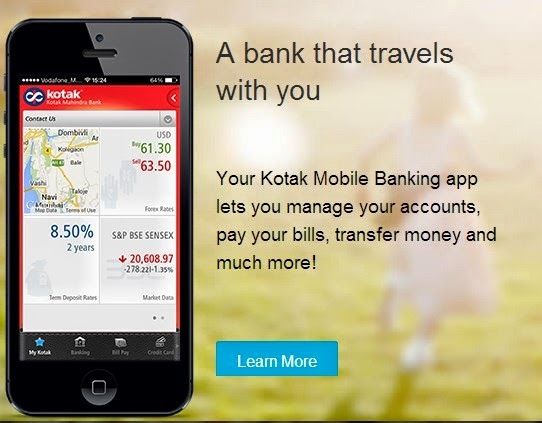 Let me give you an example of the personal services offered by Kotak Bank. When I opened a Fixed Deposit with them, I forgot to fill in the mobile number which is pretty important for them and me. I left the bank without noticing it and headed straight to work. When I reached home, a Kotak representative was waiting for me there just to get my mobile number. Now thats what I call a personalised service. Kotak has launched a new initiative called Kotak Jifi (pronounced jiffy as in quick). 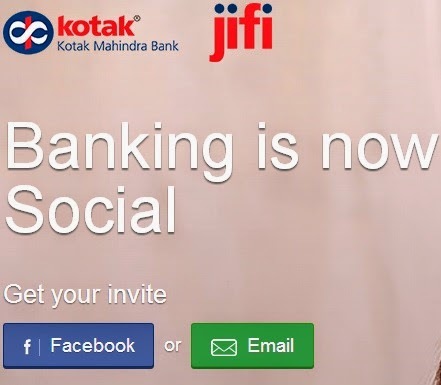 Whats so different about Kotak Jifi, well it is the first initiative in the world to use the power of social networking like Facebook/Twitter and email to open a zero balance account. The world has grown smaller and more globalist with the advent of social networking sites like Facebook, Twitter, VK, Google+ etc. It has become pretty easy to reach any individual situated anywhere in the world via these social networking Apps. The power of Facebook and Twitter was seen in the Arab Spring uprisings which took place in Middle East which led to pro democracy movements across the Middle East toppling autocratic states. The power of social media is so vast that it can be used for either betterment of mankind or to harm them. Kotak Jifi uses the positive side of social media to harness this vast power of Social networking. Jifi is a new age digital current account that offers unparalleled convenience. Easy & anytime access, hassle-free transactions and numerous benefits, that is what Jifi is all about. What’s more, banking is now social with it as you can receive banking account updates through Twitter, gain reward points for transacting online and adding friends to your Jifi network. To open a Kotak Jifi account you need to have a Facebook account. Why Facebook, you will ask, well the Kotak Jifi is pioneering to be the world first socially powered bank offering and all your account intricacies are linked to the Social networking. For example you get your account updates through Twitter, add friends to your Jifi network via Facebook and collect loyalty points and huge rewards by logging in through Facebook. Kotak Jifi has a unique loyalty program. The Loyalty Club entitles you to earn social and transaction points, which can then redeemed for a host of lifestyle, shopping and dining offers. Whats more you can transfer your social points to your Facebook friends as a birthday gift just through a click on "Trade Points" tab. The Kotak Jifi is a zero balance, zero interest Current account however you need to initially put Rs.5000.00 for verification purpose. Once the verification is done, you can use this money later for online shopping, bill payments or other transactions. Added benefit with Kotak Jifi is that every time your account crosses Rs.25,000.00, the idle amount in your account is automatically swept from you account into a Term Deposit account giving you the current rate of interest on that amount. Remember your current regular account will charge you everytime your Average Monthly Balance (AMB) is lower then the stipulated amount. But with your Jifi bank account there is a no such thing. 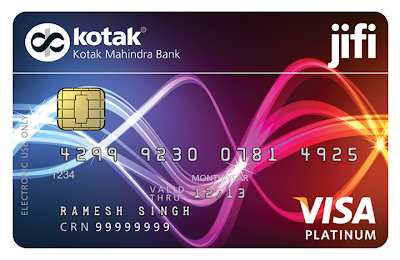 Kotak Jifi also gives you Platinum Chip Debit card for conducting your banking transactions with loyalty points. The saddest part is that all Facebookers wont be enjoying Kotak Jifi as of now as Kotak Jifi is currently available in Mumbai, Delhi, Chennai, Kolkata, Bengaluru, Hyderabad, Pune, Coimbatore, Jaipur and Lucknow. But trust me knowing Kotak, it will be available throughout India by the end of this year. Kotak Jifi has also released mobile Apps which keep you updated about your balance, your loyalty points, shows you the nearest ATM through integrated maps, gives you heavy discounts available online/physically based on your tastes. You can check their hottest discounts here. I hope that Kotak Jifi becomes a kind of Paypal of social networking. One day I hope to use Jifi to transfer money to a persons account just by giving his/her Facebook id. Wont that be awesome! Imagine transferring money at a flick of a button using Facebook credentials instead of filling in those drab 16 digit account numbers, IFSC codes, SWIFT codes etc. Kotak has started a social revolution by launching this service and I hope that my above dream is realised in not so distant future.